Finding the perfect match isn’t always easy, however if you like things in small packages, the new Fiat 500 S is a very good thing. A little over 3.5 metres in length the 500 S is not a biggie, however the room inside the modish interior is good for seating 4 adults in comfort. You’ll like the drive of this little car, as the engine has plenty of zip and the ride is good. Surprisingly, out on the open road the new Fiat 500 S is a capable little car. Such a compliant ride is due to the fine work that the chassis engineers have put into getting the Fiat 500 S right for the task. It doesn’t feel too unsettled on bumpy roads, and the cars directional stability is good at speed. With 74 kW and 131 Nm in the mid-range the Fiat 500 S can easily keep up with motorway traffic, and its six-speed manual gearbox is matched nicely to the engine power and torque. Sitting at the legal open-road speed limit has the 1.4-litre petrol engine ticking over nicely. You can expect around 6 litres/100 km on average, though this will drop as gentler speeds are reached. Acceleration feels strong and you can get the 500 S to perform the 0-100 km/h sprint in a little over 10 seconds. The seats are comfortable, particularly in the front. Perhaps, there is not quite as many cubby holes for storage as one might expect, and the luggage space in the boot is not huge (185 litres). If you consider the gorgeous Italian design and the chic nature of the vehicle, I don’t think these little bothers will get in the way of this Italian love affair. 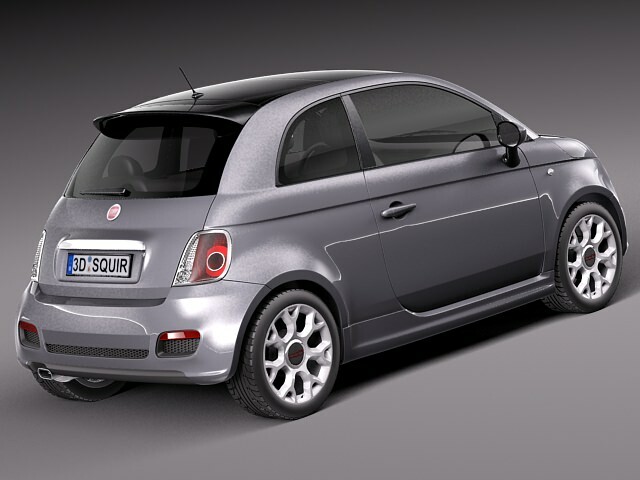 The overall Fiat 500 S design is fabulous, and few cars match the car’s cheeky, attractive looks. Now with height adjustable headlights and high-tech daytime running lights, the Fiat 500’s appearance is even more attractive and has gotten even safer. Speaking of safety; the Fiat 500 S has passed the crash testing with exceptional results and has gained the all-important five-star result. 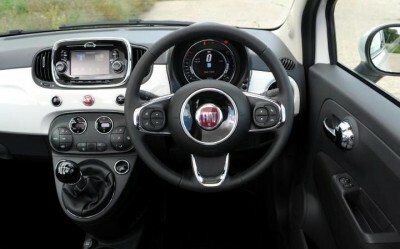 When it comes to interior style, the Fiat 500 S brings plenty of it. A new seven-inch TFT digital instrument display brings the information required for controlling the car and its functions. Bluetooth communications means that you can even enjoy hands-free music or a chat with your absent friends while in traffic. At around $19.000 the Fiat 500 S comes equipped with a six-speaker stereo, CD/MP3 radio with a USB aux input, a flat-bottomed leather steering wheel with cool red stitching, 15-inch alloys, air-conditioning, remote central locking, power mirrors, sports seats and tinted windows. This is quite some kit for the price. Nine airbags (including driver’s knee airbag), ABS, traction and stability control, hill holder, brake assist and brake emergency display are standard items, while the 500 S also boasts disc brakes all round and brake-force distribution. We never want the worst, but in the event of a collision, a solid steel safety cage channels energy away from vehicle occupants and absorbs it into dedicated front and rear crumple zones. If I was on the lookout for a small car, the new Fiat 500 S would be one top priority on the list. The blend of attractive looks, top engine performance and the feel-special factor makes this a super little package. And, the three years/150,000 km warranty makes it all the more attractive. For any more information on the Fiat 500 or, for that matter, any other new car, contact one of our friendly consultants on 1300 303 181. If you’d like some fleet discount pricing (yes even for private buyers! ), we can submit vehicle quote requests out to our national network of Fiat dealers and come back with pricing within 24 hours. Private Fleet – car buying made easy!